46 million people goes on fishing only in America every year! Around the world, the number will be huge. To go on the trips, you need to take the fishing rod, reel, bait, nets etc. The fishing reel is a key part of the fishing rod. It is almost impossible to catch fishes without using the proper fishing reel. 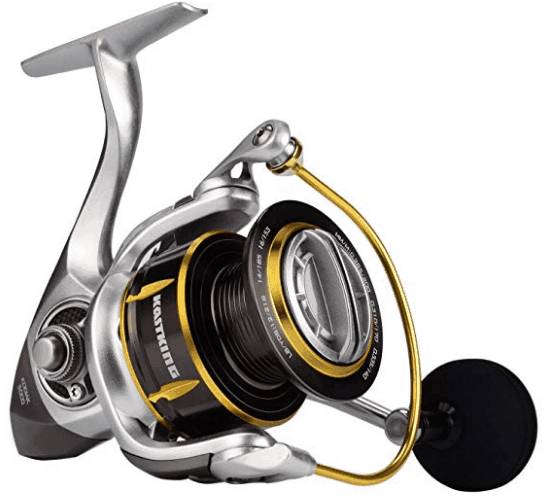 The spinning reels are more popular than other reels because of their user-friendly features. 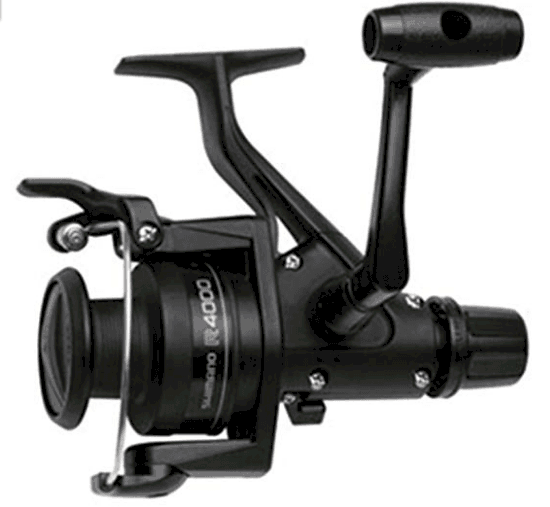 There are several models of spinning reels which have a different kind of facilities. They are also different at prices. If you are looking for a suitable spinning reel at a reasonable price, this reviews will help you a lot. Because I have tried to figure out the best spinning reel under 100$ in the market. I have made this list by doing a lot of research works. For this article, I did extensive market research that included checking out several models and also read those products real customer's feedback and reviews. Then I have listed this. By reading these listed product’s details, you will able to understand why they are best.Now, it’s time to check the products. Let’s start with me! The Penn is one of the oldest and well-known bands. The Penn Battle II is a unique budget spinning reel of this company. It is crafted from durable materials and packed with big fish fighting features. That’s why it is named Penn Battle II Spinning Fishing Reel. It is more capable of catching the big saltwater fishes. Full metal body, side plate, and the 5 quality bearings (sealed stainless steel ball) make it a giant. The anti-reverse bearing eliminates pullback instant. The gear ratio is 4.3:1 to 5.2:1. HT-100 Versa-Drag carbon fiber provides smooth dragging. It can easily install in the rods. Pen Battle II spinning reel shows great performance in the saltwater’s fishing spots. That’s why it is more popular. 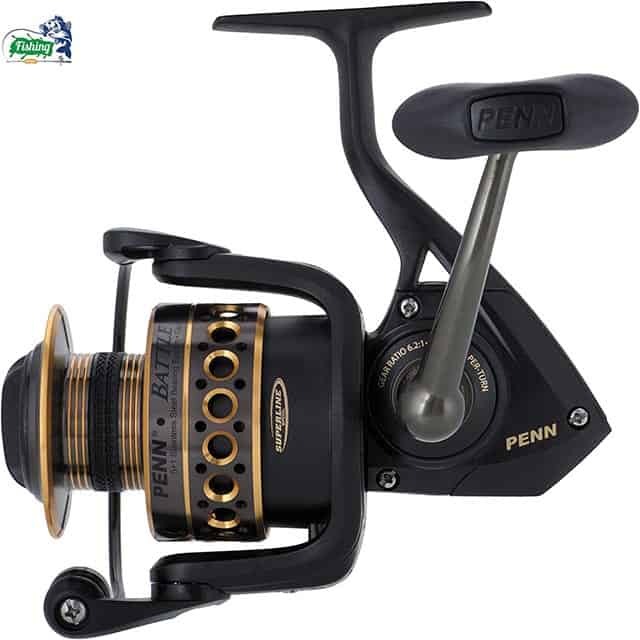 Its price is very low and customers will always win if they buy this product.The Penn Battle II spinning reel is one of the best products of the Penn Company has ever produced and it is gaining more and more popularity day by day. I had used this reel. Believe me, it can satisfy a person who really loves to fish. The brand new KastKing Sharky III is a next-generation fishing reel. It is a solid aluminum fishing reel to serve great power of dragging. The KastKing is a well-known company and it has good fame around the world for its best products. The KastKing Sharky III is one of them. It has an amazing design that can easily attract everyone. Though it has all the features and benefits of the best reel, the price for this product starts at $53.98 only! So, it is quite reasonable for all. The all NEW KastKing Sharky III reel is now lighter, smoother, and stronger! It has high efficiency. 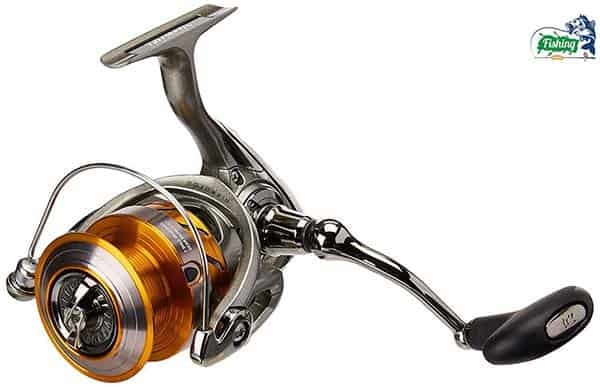 It has triple disc carbon fiber drag, 10BB+1RB shielded stainless steel bearings, braid fishing line ready aluminum spool, precision manganese brass alloy gear, fiber reinforced body, and an oversized stainless steel main shaft. The gear ratio is 5.2:1. The KastKing Sharky III can provide large line capacity to catch the river and sea fishes. It is a smooth, flexible, efficient, and suitable for all types of fishing spots. To check the product’s more details, pricing, and other variants (if there) you may go. 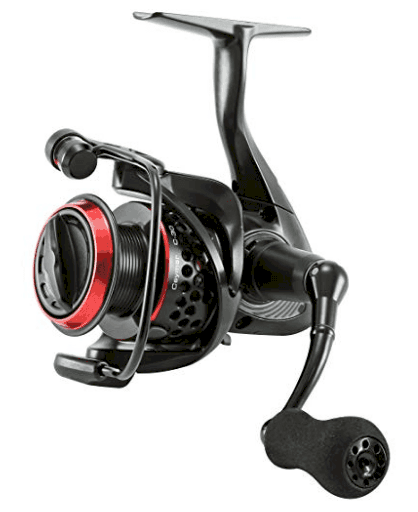 Daiwa Revros spinning reel offers supper flexibility, sensitivity, and noise free performance. 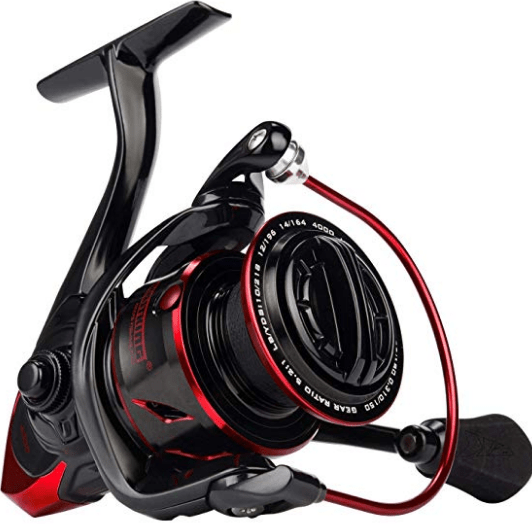 Daiwa is one of the best fishing reel production company. Daiwa Revros fishing reel is a budget fishing reel of this company. Its unique design cut extra weight out and increases efficiency. Though it is lighter, it can serve to sacrifice power and strength. 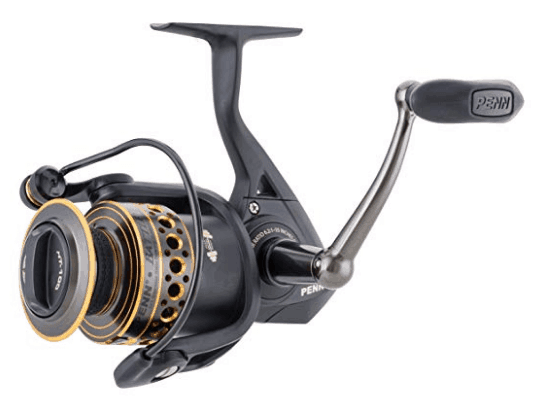 Daiwa Revros has 7+1 bearings and the gear ratio is 5.6:1. Composite body, rotor ensures great performance. ABS aluminum big spool helps a lot for suitable casting. 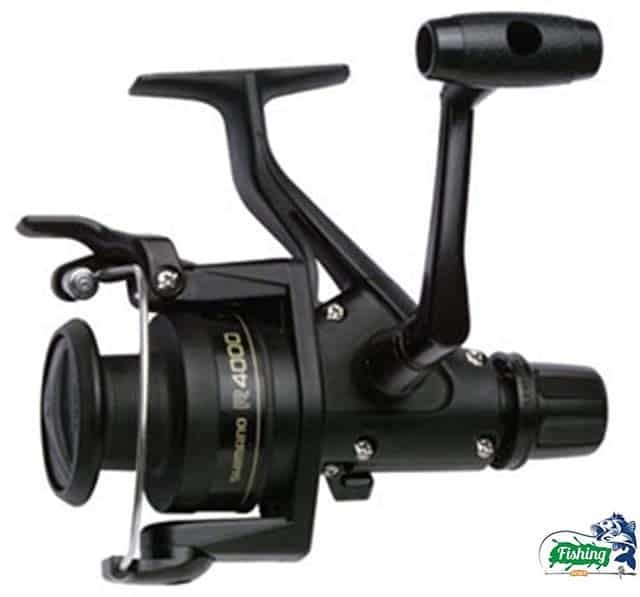 Daiwa Revros has digital gear system which removes the noise of the system and provides smooth performance. The price range for this product is $42.59 - $114.86 and that is really reasonable. It is known as ultra-smooth, durable, and balanced power fishing reel. As the price is reasonable, you can try it to get a good experience. So, you may call, the Daiwa Revros is one of the best spinning reel for the money. To check the product’s more details, pricing, and other variants. Rotation of the rotor is slower than the other Daiwa reels. It is another wonderful product of the Daiwa Company. Daiwa Crossfire Front Drag Spinning Fishing Reel provides the high level of fishing performance without the high price tag. This product has modern technology features like gyro spin balanced rotor, micro-click drag system etc. The price for it starts at $25.49 only! This is quite unbelievable but it is really true. 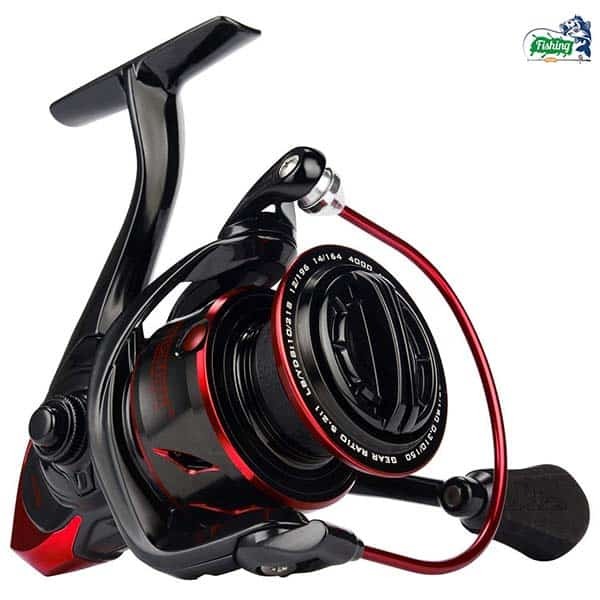 Daiwa Crossfire Front Drag Spinning Fishing Reel has 3+1 bearings, twist buster for line twist reduction, gyro balanced rotor, and ABS aluminum spool. It has a good body design to reduce reel related problems. The gear ratio is 5.3:1. It is easy to use and install. Though the Daiwa Crossfire spinning reel has total 4 bearings, the performance is not below average. This is a quality product with affordable price. The makers did an excellent job without sacrificing the qualities of this product. If you prefer the lighter fishing reels for the fishing trips, the Daiwa Crossfire Front Drag Spinning Fishing Reel can be a good choice. Has only 3 bearings with a reverse bearing that is less than the other reel models. Okuma is a famous brand for its top quality. It produces several types of spinning reels which are well-known. Are you looking for one of the best spinning reel under 100$? Okuma Ceymar can serve you well at this limit of cost. That’s why it holds its position in this list. There are so many positive feedbacks for this product. Corrosion-resistant blade body design and aluminum body make Okuma Ceymar a lightweight and good performer. 7+1 (RB) bearings bring ultimate smoothness. It has machine cut brass pinion gear, machined aluminum spool, and C-65 sized Ergo Grip handle. Ceymar spinning reels can provide excellent fishing experience for all type of people. The gear ratio is 5.0:1. It is a strongly structured spinning reel. You can run it at high speed without any problem. The aluminum handle and the grip give complete control over the reel. So, you can get comfort, speed, and power at the time of fishing if you will choose it. More suitable for the small fish fishing than the big fishes. 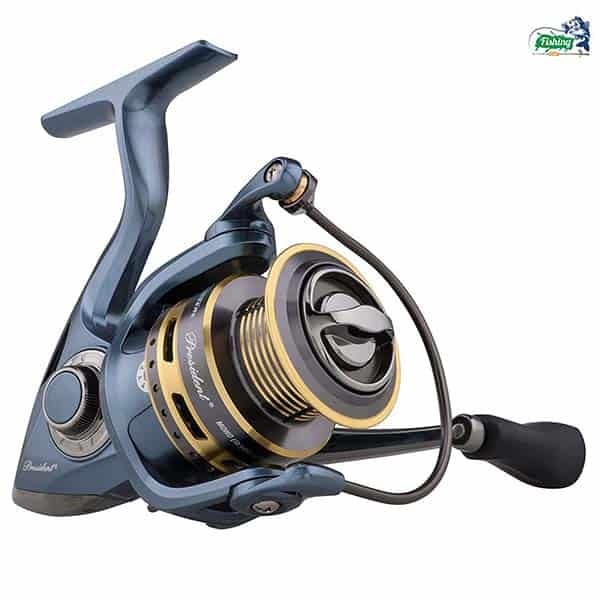 Pflueger President spinning reel is one of the most popular spinning reels because of its durability, smoothness, and performance. It really has some fantastic features. Corrosion resistant 10 bearings system is able to provide smooth operation. The construction is made of graphite that’s why it is a lightweight reel. The Pflueger President spinning reel has a double aluminum spool, aluminum bail wire, titanium coated line-roller, and multi-disk drag system. 9+1 bearings system is capable of providing supper smoothness. The gear ratio of this reel is 5.0:1. The users of the Pflueger President spinning reel can catch all types of fishes quite easily with it. If you want comfort and good performance under 100$, the Pflueger President spinning reel is always a great option for you. High-grade materials are used to build this fishing reel. For this reason, it can last for years and serve supper performance. The Pflueger President spinning reel needs simple maintenance works. So, you don’t need to worry about the performance. It has a slow oscillation gearing system. 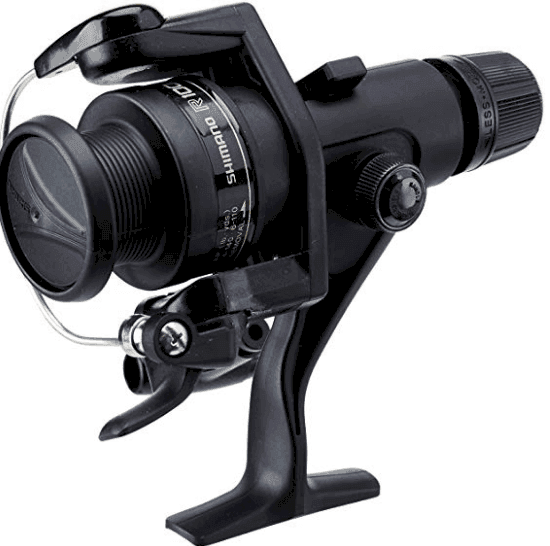 Shimano is a famous name in the fishing reel industry. This company has produced several types of spinning reels. 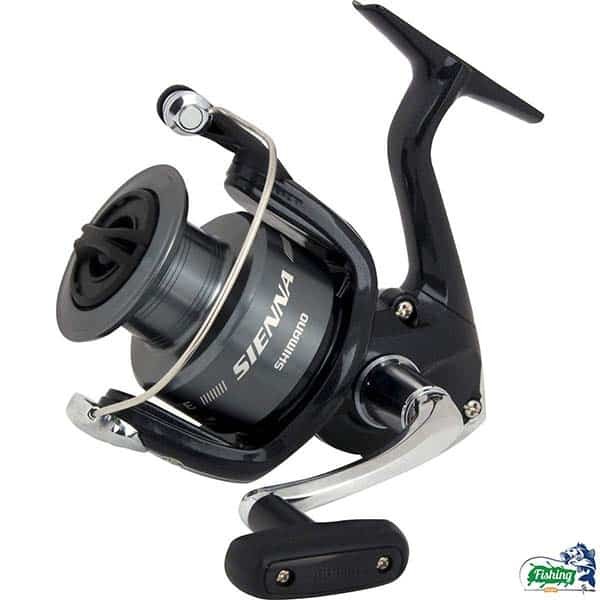 The Shimano SIENNA FE reel is one the best budget spinning reels. It has many promising features at a low cost. 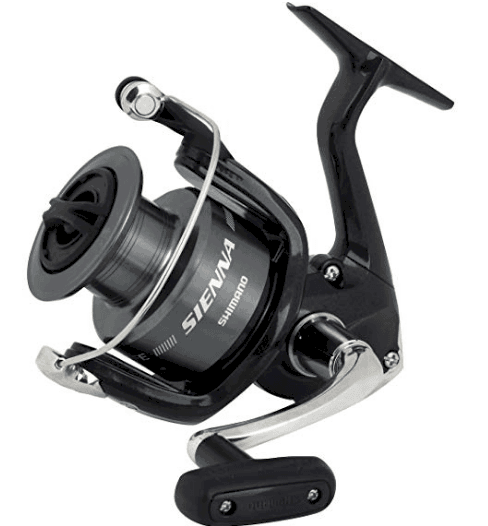 The Shimano SIENNA FE reel is a real entry-level reel but can provide the pro-level performance. The structure of this spinning reel is M-Compact which looks great and workable also. Advance technology that has been used to counterbalance the rotor to remove retrieve vibration and increase the smoothness. It has 1 ball and 1 roller bearing. The gear ratio of the Shimano SIENNA FE is 5.0:1. This reel has a unique feature called the Super Stopper II instant anti-reverse. AR-C spool minimizes the backlashes. By using the Shimano SIENNA FE spinning reel, you can fish all types of fishes and almost everywhere. It has excellent water and dust resistance system in its design. It has also super flexibility. For all these reasons, it is known as one of the best spinning reel for the money. Its drag system is not as smooth as other models. The Shimano Spinning Reel is a lightweight, comfortable, and efficient spinning reel. The Shimano Spinning Reel is one the most common fishing reel. Everyone can easily handle it. There is hardly any good spinning reel that can bet the price of the Shimano Spinning Reel. It is a quality spinning reel for money. Its special features are rear drag system, Quick-fire II, graphite frame, spool, and rotor. The Shimano Spinning Reel’s gear ratio is 4.1:1. It has 3+1 bearings which are suitable and perfect for the structure. It needs nothing for the maintenance work. So, you can use it without worrying. The Shimano Spinning Reel is a great option to save more money. This reel is approved in the U.S.A. for the saltwater fishing. The KastKing Kodiak Saltwater spinning reel is one of the masterpieces of the KastKing Company. Kodiak is the name of Alaskan Bear that catches salmon up in the north. This reel can improve and make easy anyone’s fishing experience. It is also a good quality fishing reel under 100$. If you use and maintain it properly, it will last for years. Its body design is solid and exact for good service. The KastKing Kodiak reel has an aluminum spool (CNC machined) and rotor, 10+1 bearings (stainless steel ball), and EVA knob for better grip. Kodiak’s gear ratio is 5.2:1. 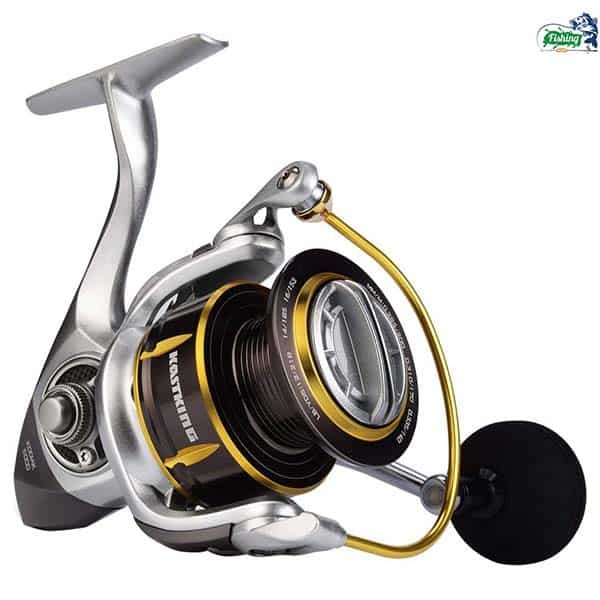 The thicker stainless steel made body makes it a giant strong spinning reel in the market. Kodiak Saltwater spinning reel is one of the flagships of the KastKing Company. But the price of the product is totally in the range for budget shopping. It has excellent water and sand resistant system. This spinning reel is mainly used for heavy duty fishing. The KastKing Kodiak Saltwater spinning reel can use everywhere for fishing but it is highly suggested for the saltwater fishing. 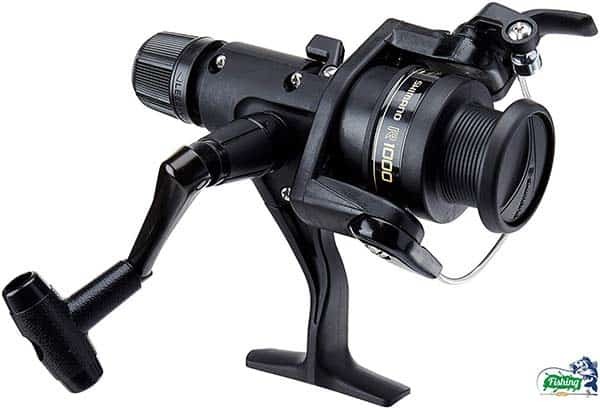 Shimano Spin Reel Clam is one of the simplest spinning fishing reels that I have ever used. 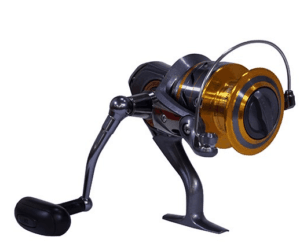 It is a super light spinning reel with some great features. If you want a real comfortable spinning reel in your collection, the Shimano Spin Reel Clam may fulfill it. It has all the necessary features without a high price tag. That’s why it is getting popular. 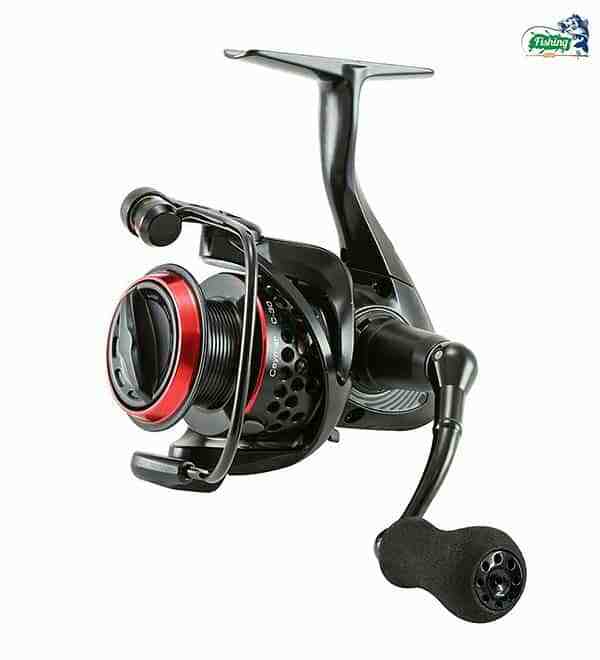 This reel has rear drag system, graphite frame, rotor, and spool. Its gear ratio is 4.1:1. The bearings also bring some bonus features in this reel. For their smoothness, the dragging system has become very comfortable. It is a small sized reel so anyone can easily handle it. The Shimano Spin Reel Clam is an awesome fishing spinning reel. It is a cute reel that you may love to use. The spinning reel is an essential part for the fishing rods. It is a special kind of reel that is used almost everywhere. The casting method of the spinning reels is quite simple. These reels are also cost-efficient and easy to maintain. Here I have pointed out these points so that you can check its advantages at a glance. Bad issues free like jammed, bird-nest, line digging issue etc. Spinning reels are designed to minimize or avoid the line tangle jammed, birds nest, and the digging issues. So, they are almost problem free solution for a fishing trip. This type of reels are the most cost-efficient fishing reels in the market. The spinning reels are cheaper in price and easy to install and maintain. You can easily use the spinning reels in the freshwater, saltwater, and icy areas to fish. So, you can follow almost every type of fishing style if you buy a suitable spinning fishing reel. The spinning reels follow a simple working principle based on the bearing. For this reason, everyone can easily handle these even the beginners and olds. The bearings rotate the spool quite smoothly and help to throw the line quickly. You just have to point the right direction to cast it. These reels have a simple lever to pull off the line. It is quite easy to maintain a spinning reel. You can easily install and remove it. A normal spinning reel requires only proper cleaning and sometimes lubing. 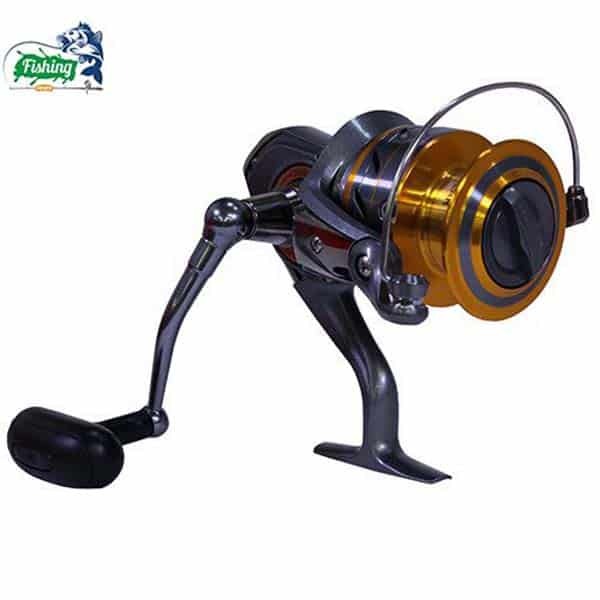 The body structures of the spinning reels are excellent and well designed. There is no complex part in the structures. For this reason, if you use it properly, it will last longer. It is important for every type of shopping to check a suitable buyer guide before buying a product. This can help you to find the best spinning reel on budge. 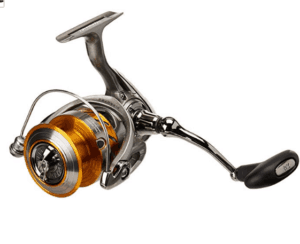 Have you checked the buyer guide for the spinning reel? If not, check it here. Believe me, it can be very helpful. For having a good fishing experience, the dragging system needs to be smooth. Check the drag capability and the power ratio in the product's details of the reels to find the quality product for yourself. Line capacity depends on the spool size. There are several sizes for the spool of the spinning reels. If you want to cast a long distance, you have to choose the big sized spool and vice versa. The lower the gear ratio is 4:1 and the higher is 6:1. The lower ratio is suitable for the fighting with big fishes and vice versa. The materials of the spinning reels are commonly plastic, carbon, aluminum, fiberglass etc. The carbon, aluminum, and fiberglass made parts are lightweight and more durable. If the spinning reel is corrosion and water resistant, it will last longer and will provide good service. Otherwise, you may face some problems regularly. A spinning reel requires 4 or 5 bearings (minimum) to provide the quality service. The ball of the bearings has to be stainless steel or aluminum made. It is also important to maintain a healthy ratio in the number of ball bearings and roller bearings. Check the anti-reverse capacity of the spinning reel. You need to choose a quality spinning reel that has a smooth anti-reverse capability. These points are really important to consider before buying a spinning reel. So, check these when you are going to buy a suitable spinning reel. Fishing is always a good way of time-pass, enjoyment or earning. To go on a fishing trip, you need some must needed tools. The fishing reel is one of them. If you choose spinning reel, you can be benefited for its user-friendly features. The writing is about some best spinning reels. Using my experience, practical knowledge and huge research works, here I have tried to find out the best spinning reel under 100$. 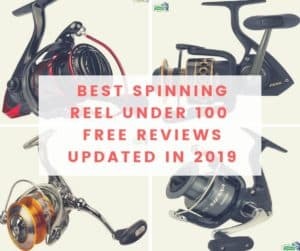 In this reviews, you have seen the world most famous company’s spinning reels with their details, pros, and cons. 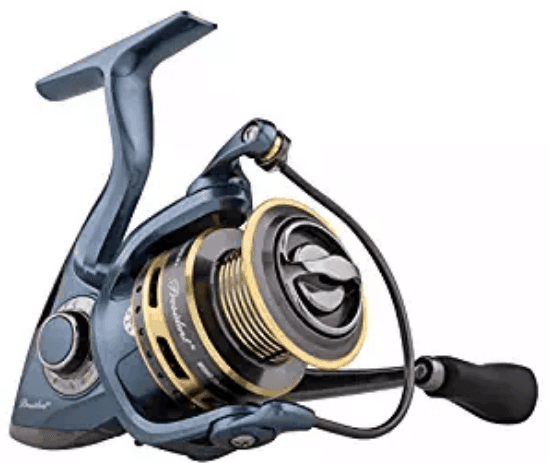 I think the Penn Battle II, the KastKing Sharky III and the KastKing Kodiak Saltwater Spinning Fishing Reel are the most advanced fishing reels. But these three are my personal choice. Now, it is up to you to choose your suitable spinning reel. Because what you need, you will know better than anyone.